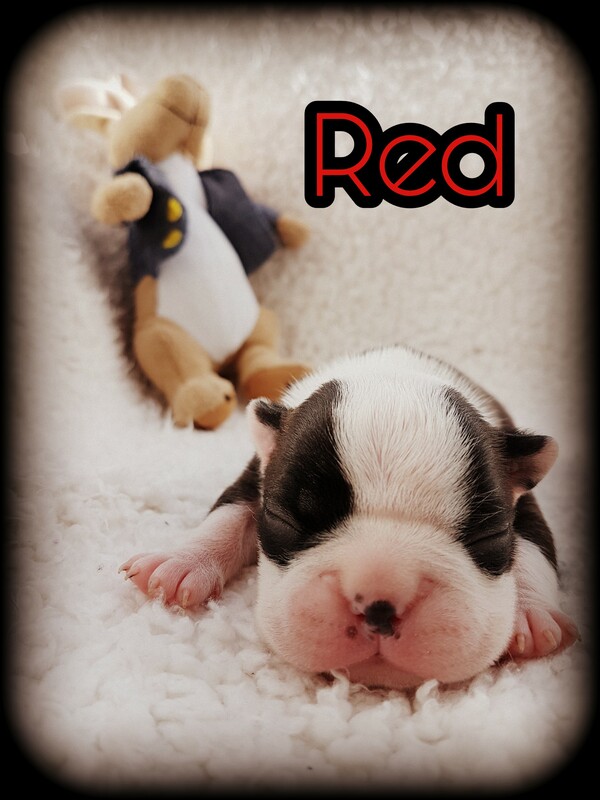 We are delighted to announce the safe arrival of a wonderful litter of 7 KC reg Boston Terriers. Mom, has a total of 12 wildax in her 5 generation lineage of which, 5 were champions and with a total of 12 champions in the papers, you can be assured of her Boston genealogy. 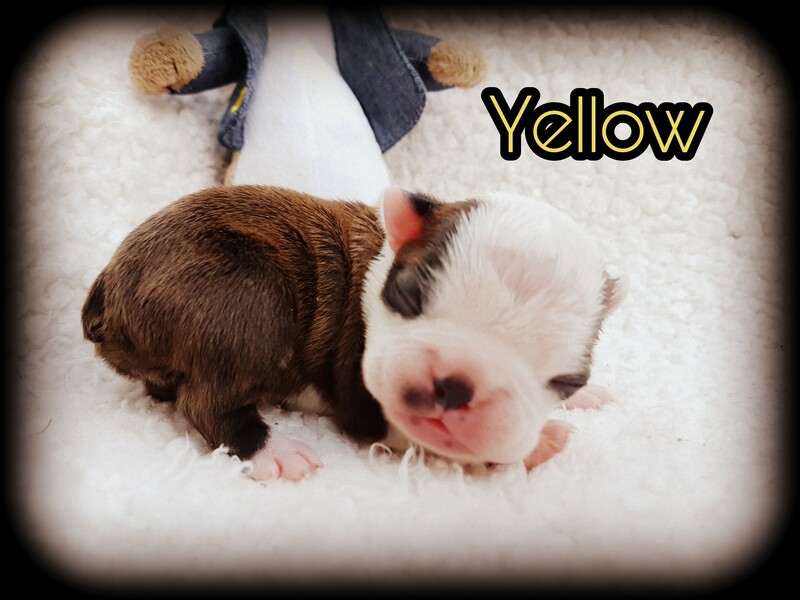 They were born 19th March and will be ready to leave middle of May. Mum is an attractive brindle girl who is very much a family dog. She is from self whelping lines, and is a very loving girl and fantastic with children. 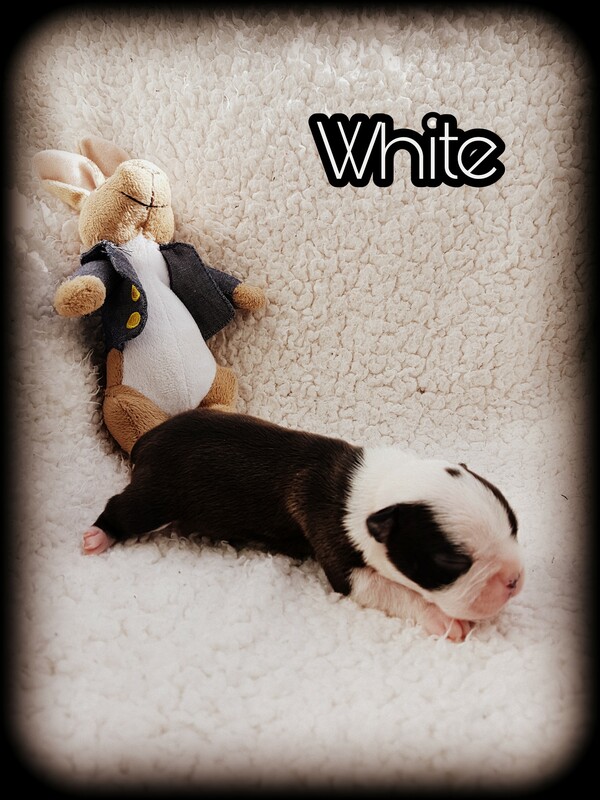 She has been mated with a stunning Red and White who is as charming as he is handsome. 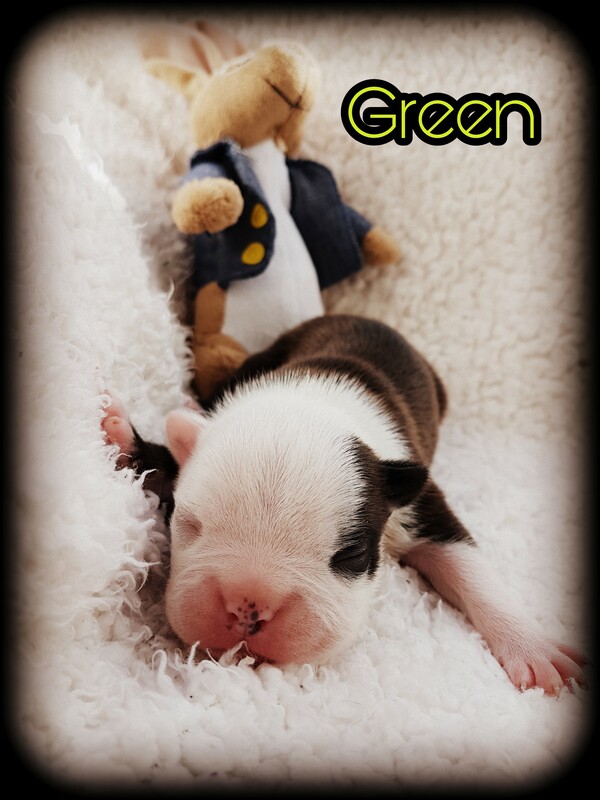 The litter has thrown great markings and we are happy to announce the safe arrival of 5 girls and 2 boys. All of which were self whelped. 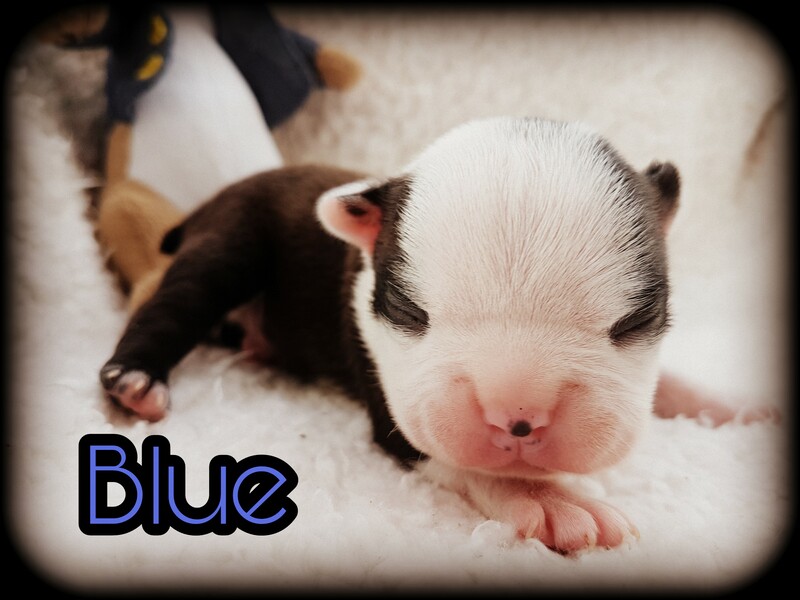 All puppies will be KC registered, they will leave with 5 generation pedigree, first course primary vaccinated, microchipped, wormed and flea treated and will be fed the very best. Will also leave with food to get you started. Photos and videos can be sent for those who cannot view, video calls or pictures can be sent as updates weekly. Please just ask for more pictures! Any questions are welcome, viewing is at our home in Wolverhampton. 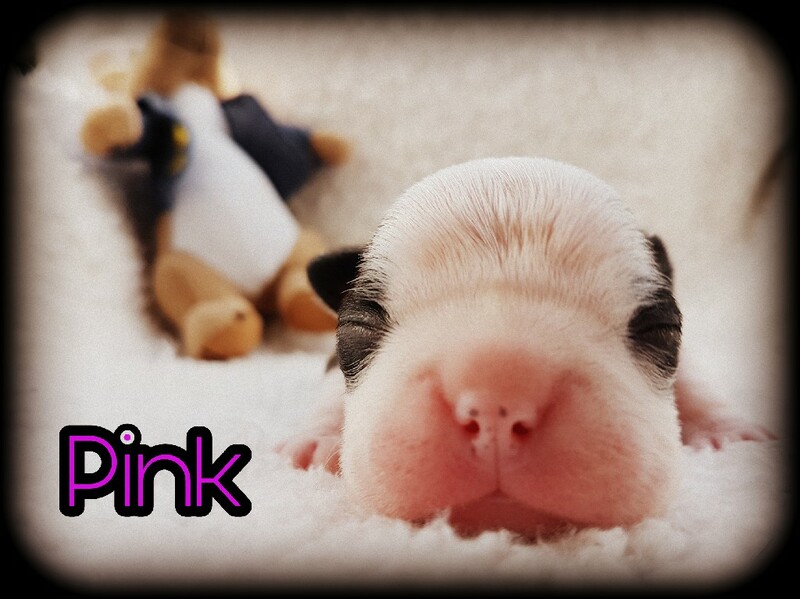 Deposit of £400 secures your puppy and written receipt will be provided. All homes must be indoor homes, and there will be no endorsements on their kc papers. 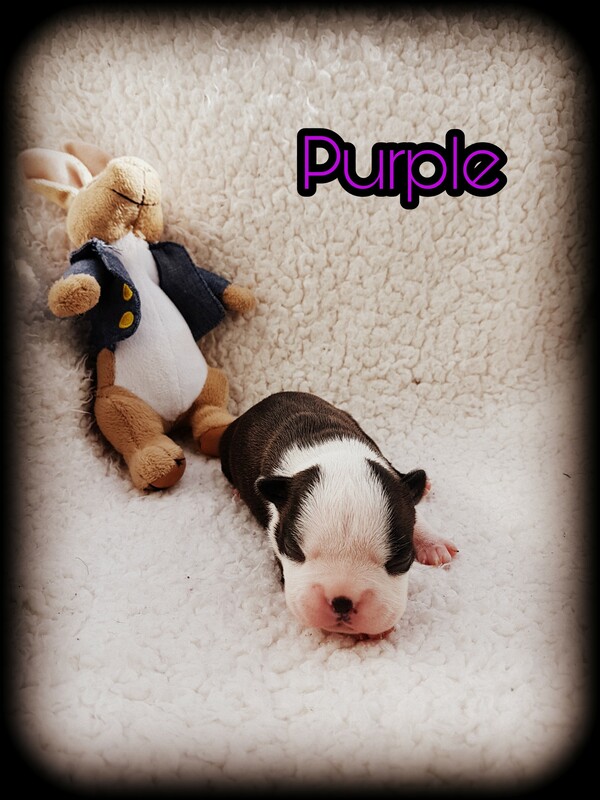 Puppies will be very well socialised with children, other dogs and will be used to all the usual house hold noises as they are raised in a family home.